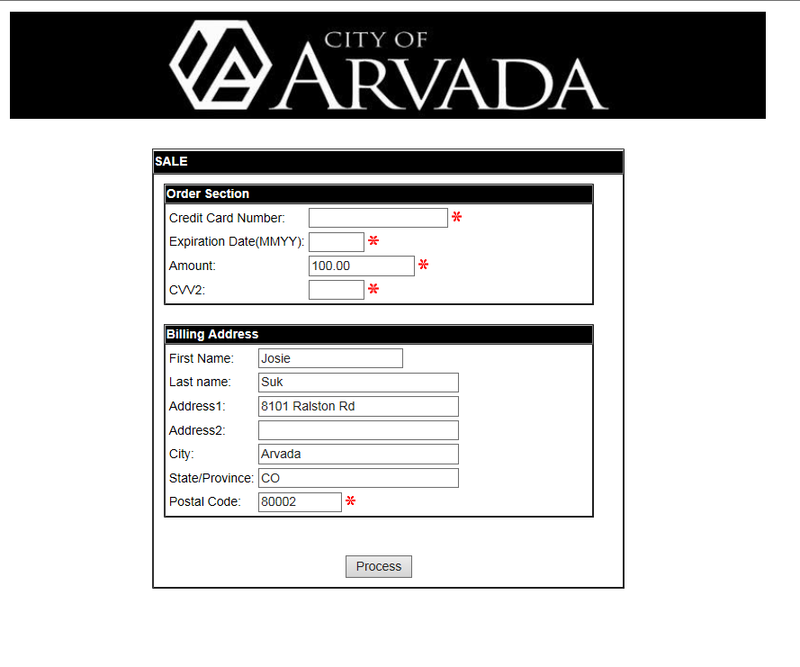 Once a permit/project has been approved, payments can be made online through arvadapermits.org, using a Visa or MasterCard. Email notification to the applicant will be sent when permit is ready for payment. Once logged in, you will select your fee that you want to pay. 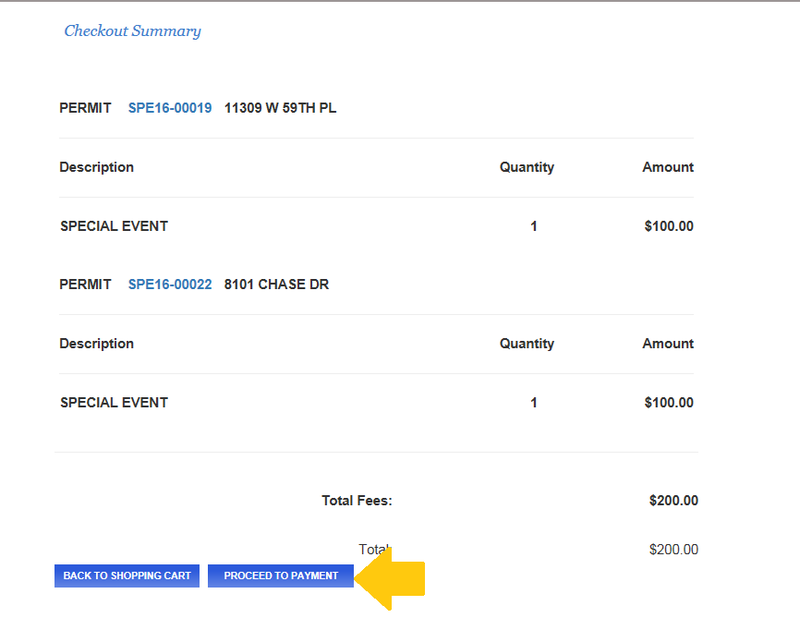 Permits that are available to be paid will show the fee due in blue, you will click on the fee to add it to the shopping cart. ​ Review the total amount that you are paying. To add more permits, click "BACK TO DASHBOARD" and repeat step 1. Once you are satisfied with you amount to pay, click on "PROCEED TO CHECKOUT". Note: Unpaid items will remain in the shopping cart until they are removed or paid. Once you have added all of the payments to your shopping cart, click "PROCEED TO PAYMENT"
You will be redirected to a secured payment screen to complete your credit card payment using a Visa or Master Card. 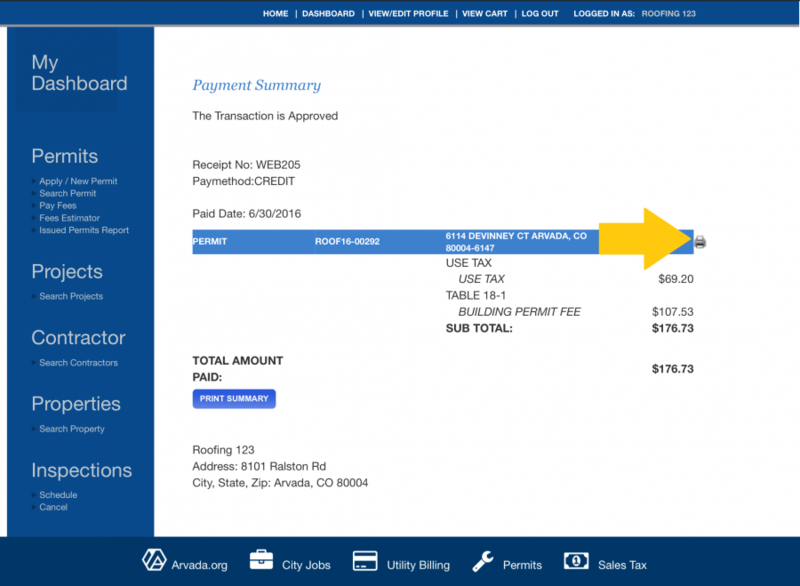 Once the payment has processed, you will be redirected back to eTRAKiT at arvadapermits.org to review your permits. A copy of the payments will be sent via email. 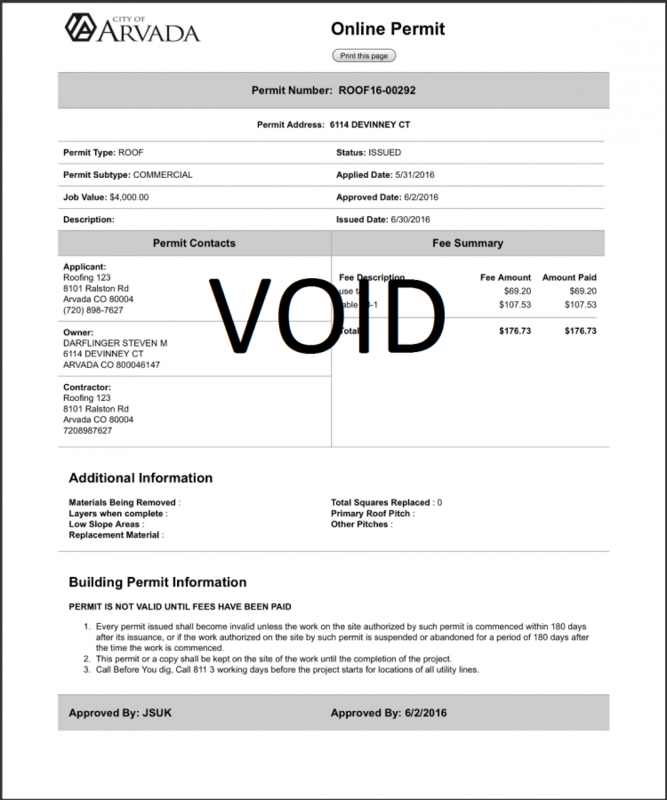 After the payment is complete you will be re-directed back to the eTRAKiT screen and will have the opportunity to print a copy of the permit. Click on the printer icon to print permit, a new window will open with the permit.